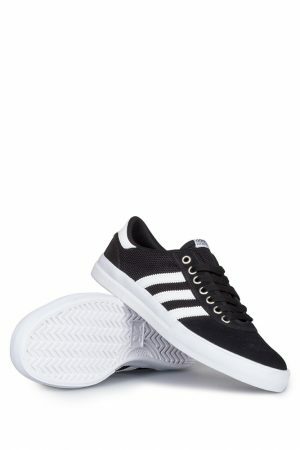 Three Stripes for Better Board Control: Adidas Skateboarding. The Germany-based sportswear company uses its 92-years of experience to craft some of the best skateboarding shoes on the market. If you’re a skateboarder, you’ll be aware of the toll the strenuous, physically demanding act of skateboarding has on your body. While every slam hurts, many often forget that there are two things constantly subjected to impact, whether you bail or not: the feet. Most likely, your feet are the ones which suffer most: your ankles, toes, metatarsus, your heels. Since your ability to skateboard (and walking, for that matter) is inseparable from the well-being of your feet, every skateboarder’s first question should be: How good are the shoes I’m skating in? 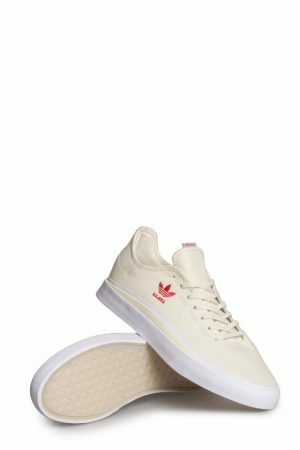 Fortunately, companies like Adidas Skateboarding have an inexhaustible source of research when it comes to crafting athletic shoes. Adidas, a brand probably unnecessary to introduce, exists for over 92 nears. You can safely say they’re experts in the sportswear department. 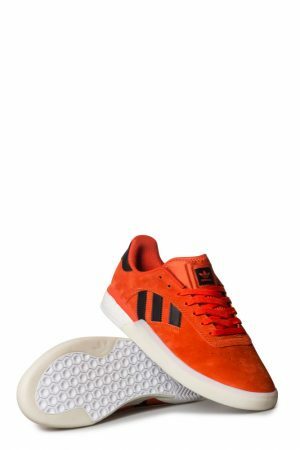 And while skateboarding continues to be an emerging sport, Adidas uses their expertise to craft some of the best skateboarding shoes on the market. 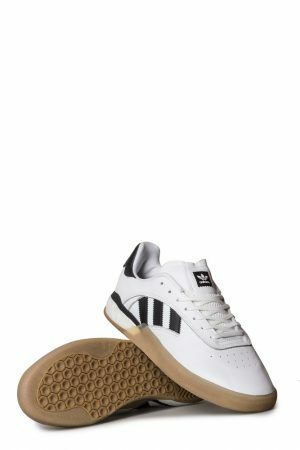 Staples like the Adidas Busenitz, the Busenitz Vulc, Superstar ADV, or Adi Ease are some of our favorites. 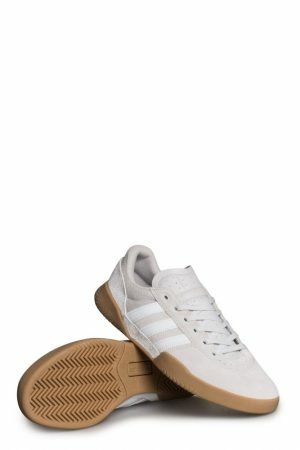 The Busenitz, for example, whether vulc soled or the cup sole version, is one of the most flexible skate shoes out there. 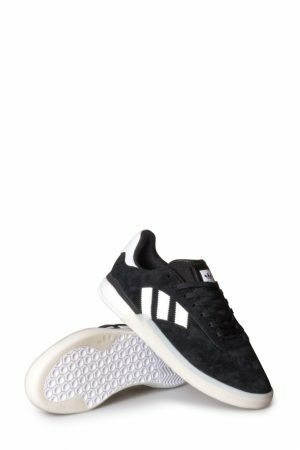 While most shoes become soft and somewhat flexile over time, the Busenitz is elastic from the get-go. No breaking in necessary. Yet, while all Adidas shoes are remarkably malleable, you will find that they won’t leave your feet dangling around in them. The fit is firm and safe, making rolled ankles (or torn ligaments, God forbid) less likely. 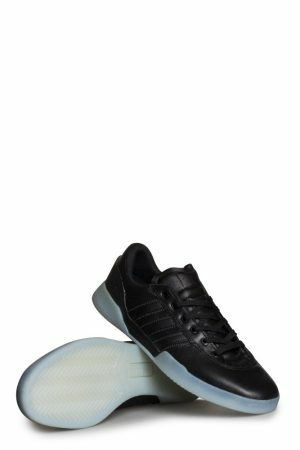 In addition, Adidas’ ADV technology assures that the soles are durable yet lightweight, making the old excuse “My shoes are to heavy to do kickflips” redundant (Let’s face it, that was always a lie you told yourself). Adidas Skateboarding is thus one of your safest bets when it comes to advanced skateboarding footwear, evidenced not only by their superior technology, but also by their high-profile pro skaters: Dennis Busenitz, Mark Suciu, Miles Silvas and Lucas Puig place their trust (and their feet) in the three stripes. Your feet, too, will be happy. And when your feet are happy, we are happy. Wait. That was weird. 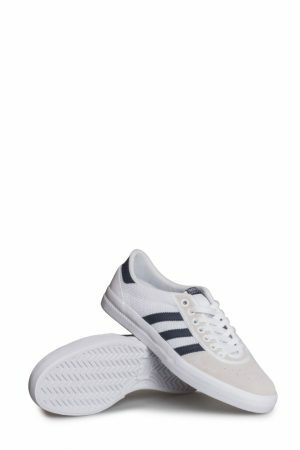 You can buy Adidas Skateboarding skate shoes both in store and online.